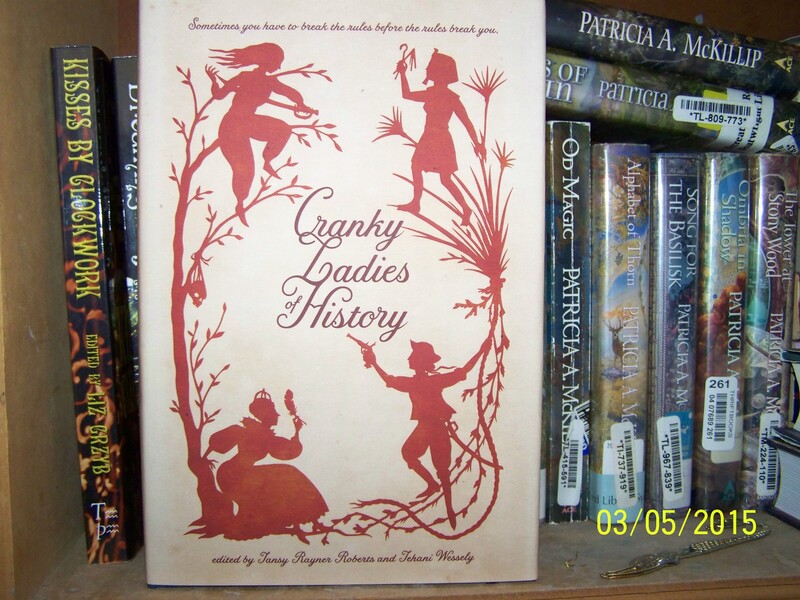 Women’s History Month has begun and on Sunday, International Women’s Day, FableCroft’s fabulous new anthology Cranky Ladies of History will be officially launched in Canberra. It’s now possible to order on their website, and as I received my own contributor copies earlier this week, I can confirm that Kathleen Jennings cover is every bit as gorgeous as it looks. I can’t wait to read about the lady pirates! It’s currently awards season and I’m thrilled that ‘Signature’, published last year in the Twelfth Planet Press anthology Kaleidoscope, has been nominated for both a Ditmar and an Aurealis Award. I’m also very proud to be a part of several of the anthologies nominated in both ballots. The Australian small press scene is fantastic in its d iversity of projects and encouragement of new writers, so it’s wonderful to see that recognition. As you can see, I’m having to reshuffle some books to make space for my new literary acquisitions. This is the BEST PROBLEM EVER. 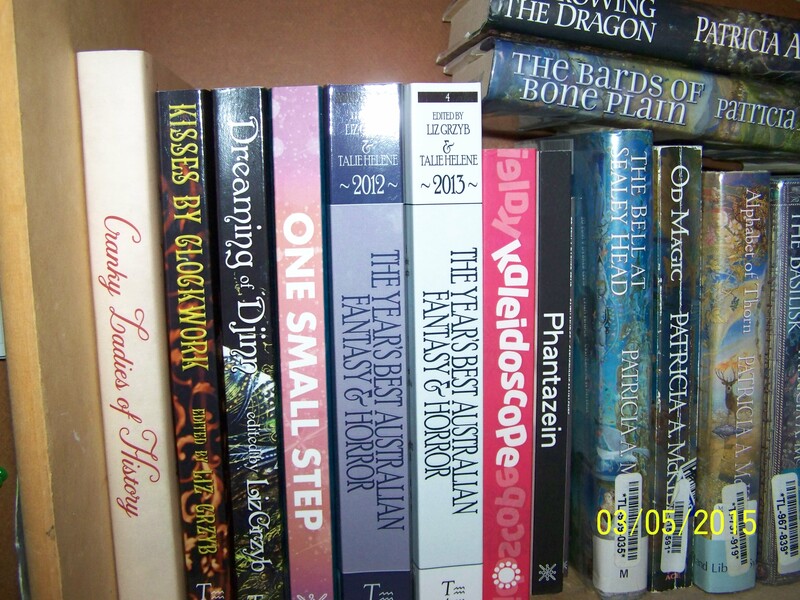 This entry was posted in Books and tagged aurealis awards, cranky ladies of history, ditmar awards, fablecroft publishing, international women's day, kaleidoscope, twelfth planet press, women's history month by faimudge. Bookmark the permalink.